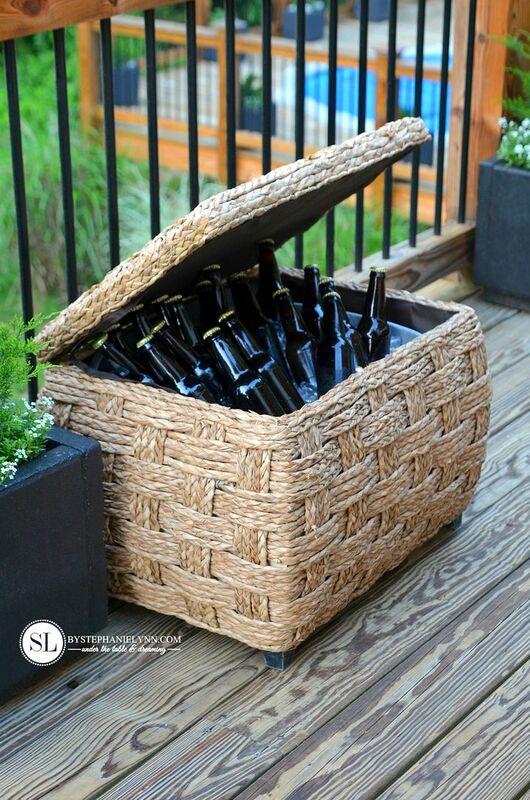 The season for outdoor entertaining has arrived! There are so many things to celebrate this time of year and so many reasons to entertain. 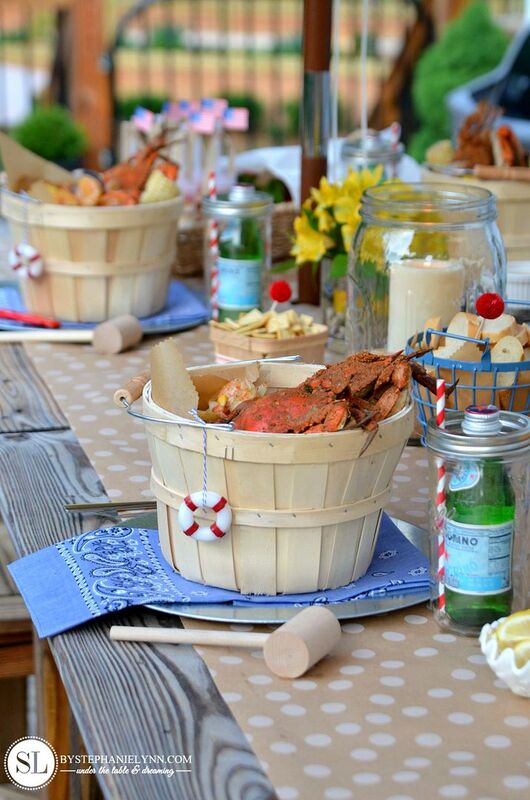 No matter what the occasion may be, for us, a Crab Feast Party is the essence of summer entertaining. 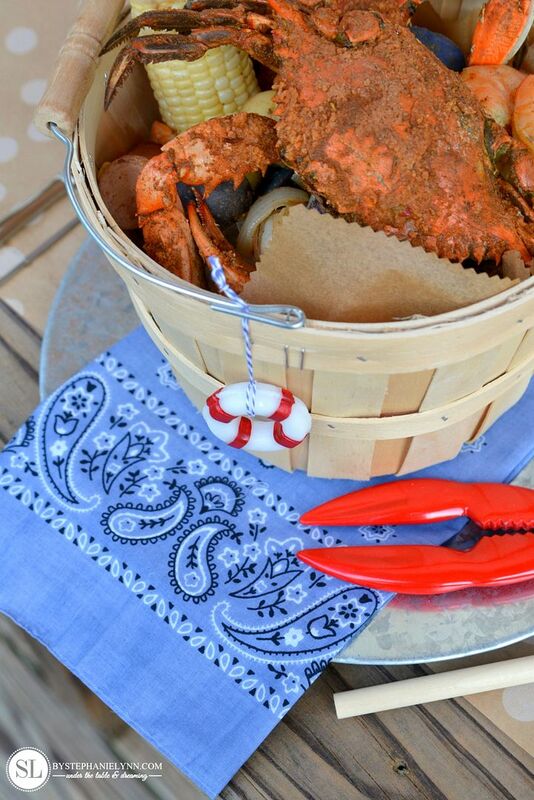 A Mid-Atlantic summer would not be summer without steamed crabs! and the planning and preparation is actually quite simple. 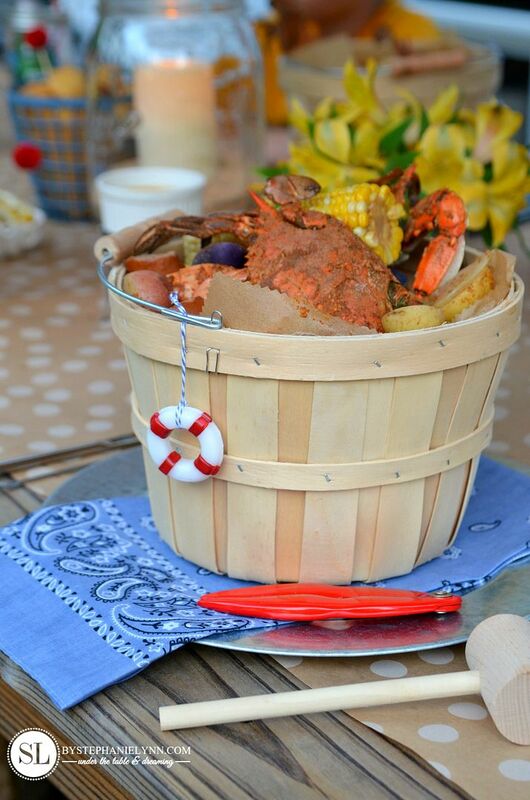 It’s really all about the fresh steamed crabs seasoned with Old Bay – they are the real stars of the show. 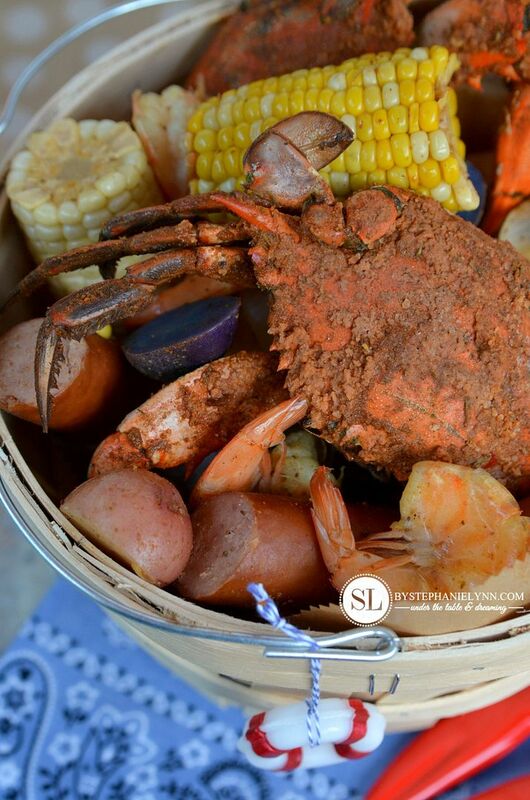 We like to combine the crabs with a one-pot shrimp boil along with a few traditional trimmings and sides. This makes for a gathering that does not require major plans to host and one that you actually can sit back, relax and enjoy, along with your guests. 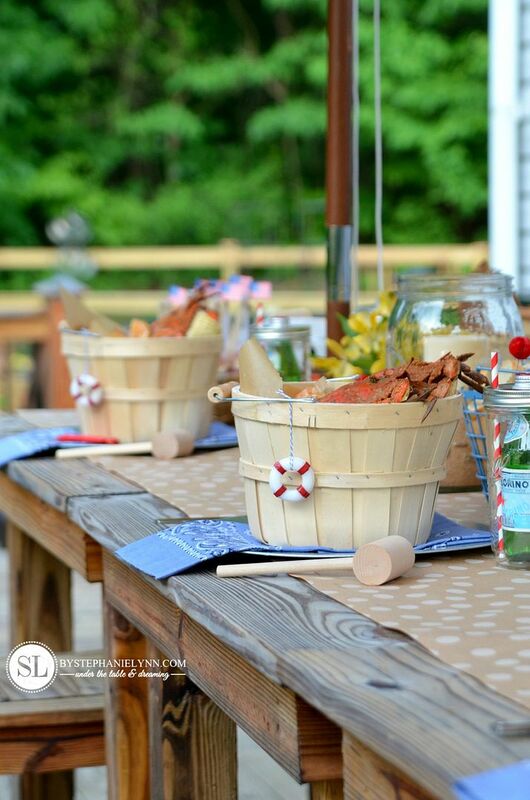 It’s one of the easiest parties we like to host multiple times throughout the summer season. 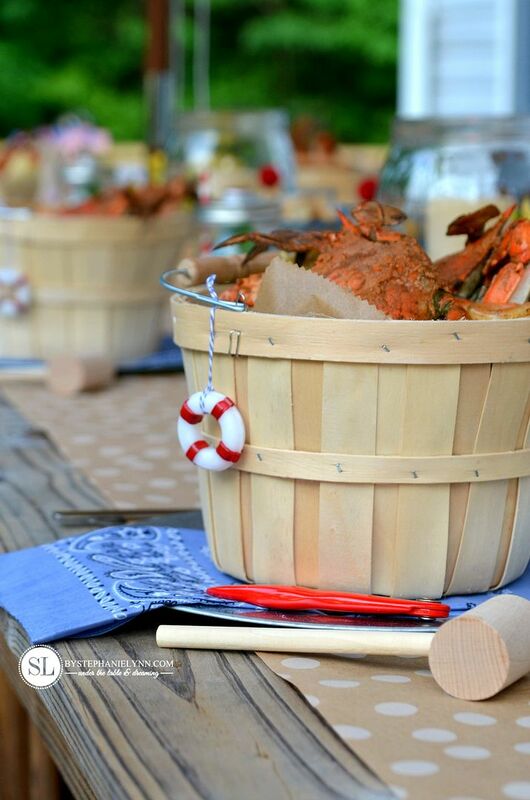 Setting up for a Crab Feast Party can be effortless affair – just line the table with newspaper and display the bountiful feast down the center. Though it doesn’t take much to create a fun, yet casual scene, with the addition of a few simple touches. 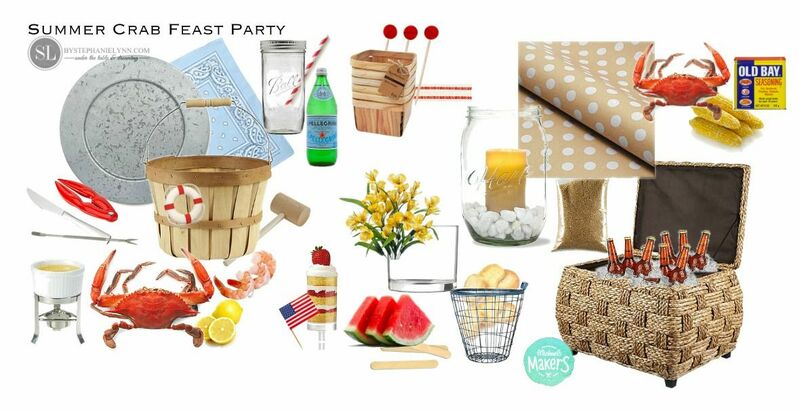 to put together their perfect summer celebration. 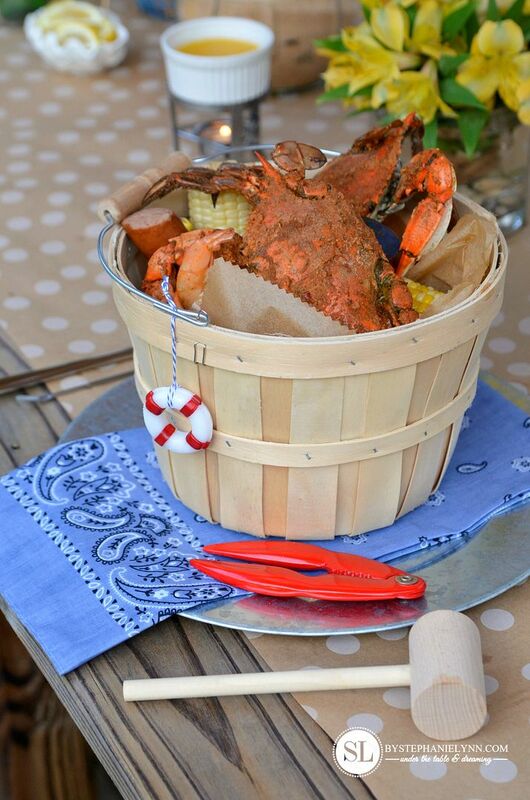 Ours, of course, included the ultimate staple on any summer menu in and around the Chesapeake Bay; Steamed Crabs. along with a recipe that puts a fun twist on a traditional strawberry shortcake dessert. 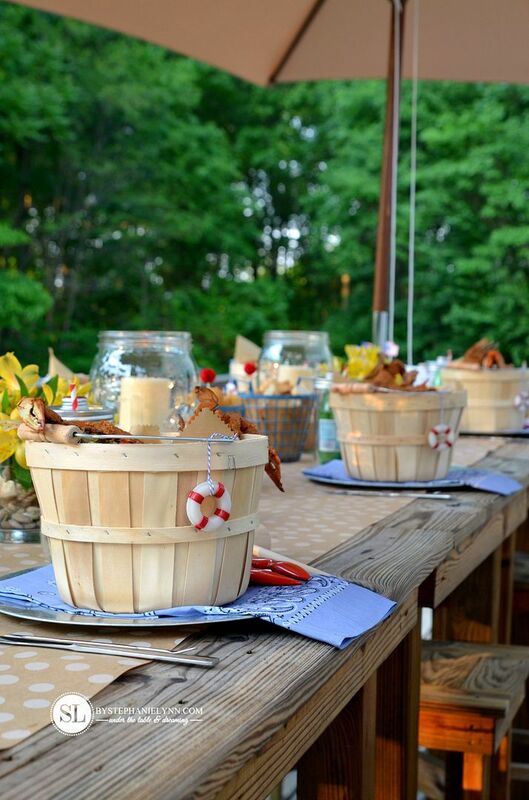 The place settings were created to welcome each guest to the table, displaying their own little bountiful feast tucked in a small Bushel Basket. In place traditional newspaper, a roll of Polka Dot Print Kraft Paper was used to line the table and make clean up a cinch. atop the Galvanized Metal Chargers. The chargers, found in-store, not only made perfect ‘crab cracking’ platters for each guest to use while eating, but contained the shells for easy disposal. 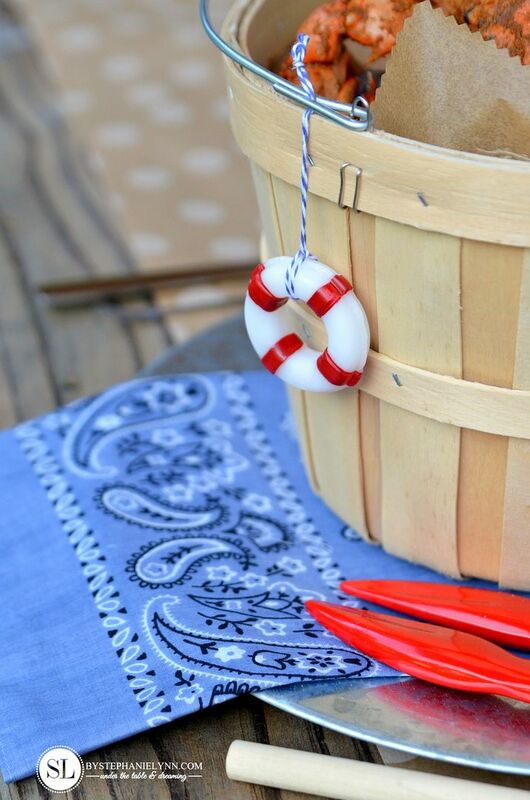 The handmade mini life preserver charms added a touch of whimsy to each basket. The charms were made using Friendly Plastic and this silicone Ice Mold. 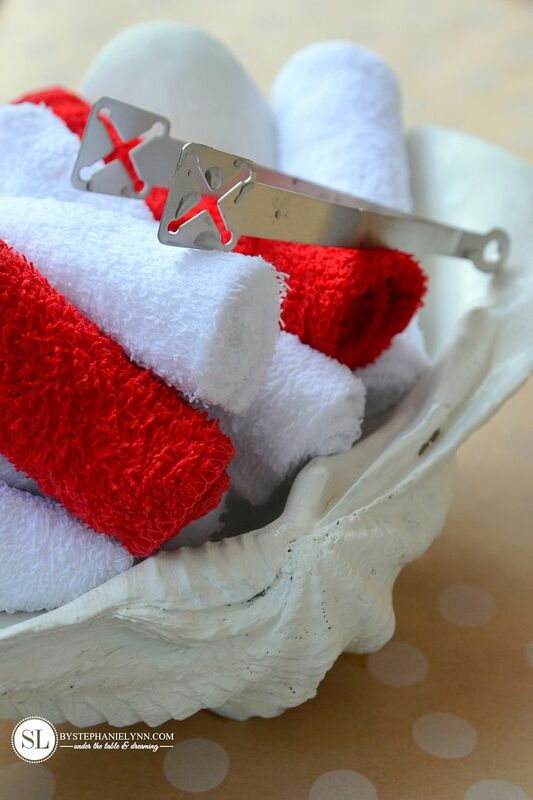 These simple DIY’s take just minutes to create. More information and a step by step tutorial can be found here. mason jar drinks were set for each guest. 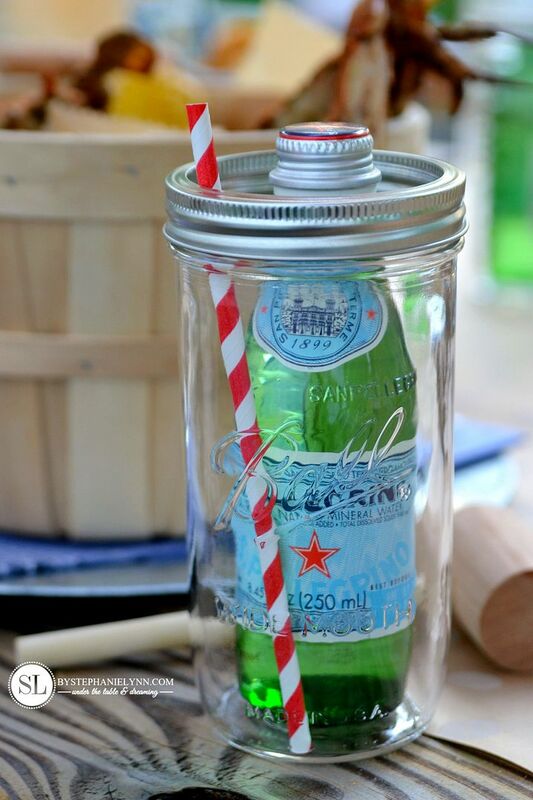 The bottles were simply nestled into tall glass Mason Jars along with Paper Straws. 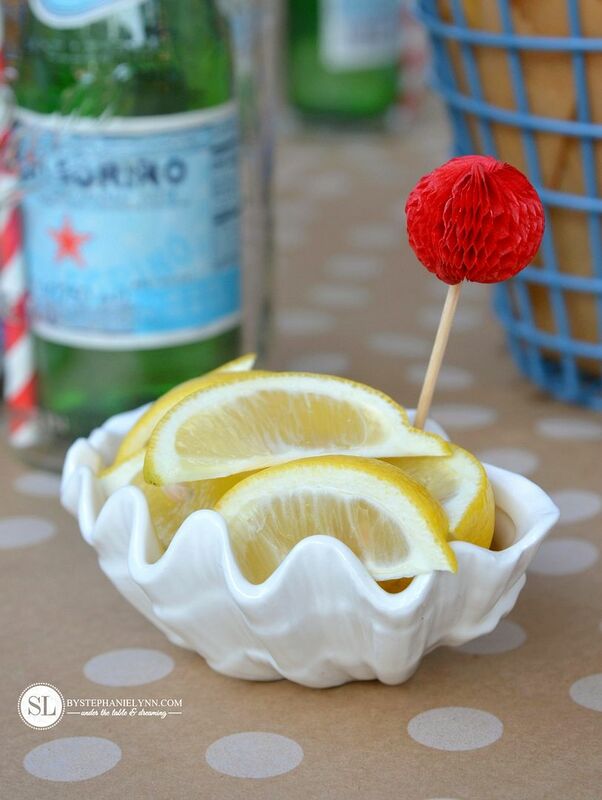 When serving sides and condiments I like to use a variety of home decor items that fit the theme or fun finds that can be repurposed after the party ends. 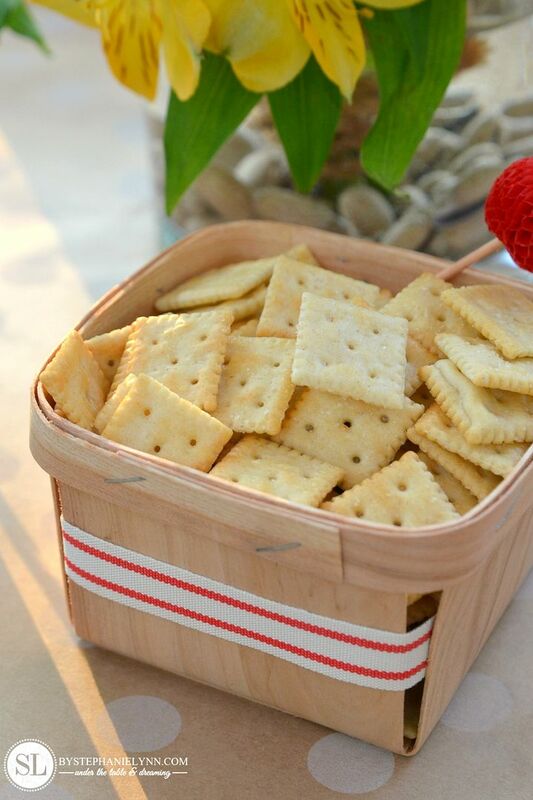 like the Honeycomb Picks and Twill Ribbon added to the Wooden Berry Baskets above. 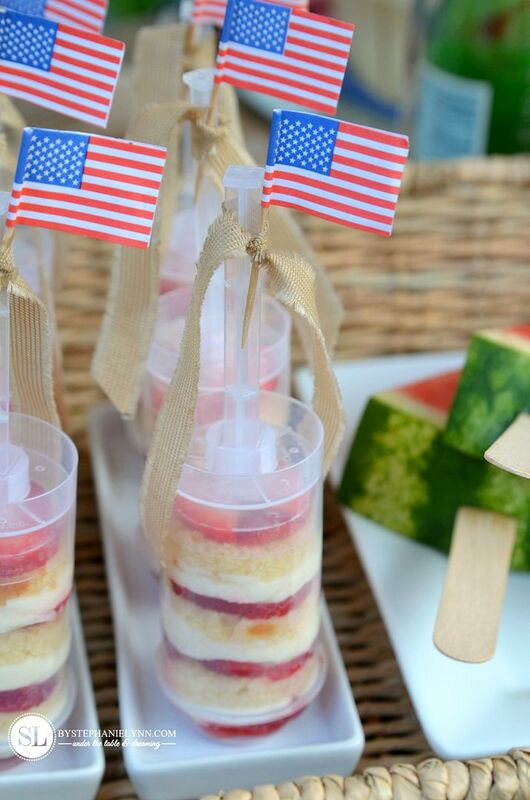 These strawberry shortcake treat pops are a fun twist on a classic summertime favorite. 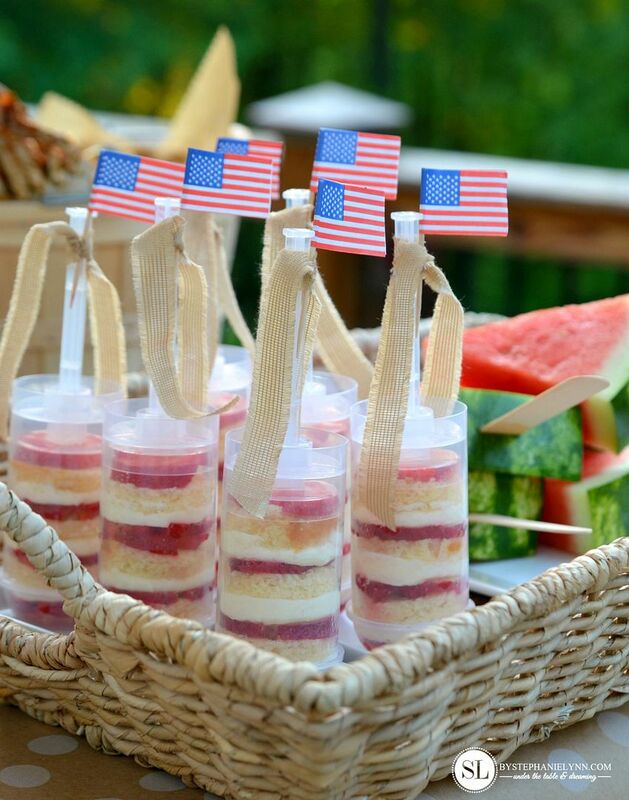 They take just minutes to assemble using pre-made pound cake, fresh sliced strawberries, a quick fluffy cream cheese mixture and these fancy Treat Pop Containers. Cut the pound cake loaf into ½ inch slices. Use a round fondant cutter to cut the sliced cake into perfectly round circles. Set to the side. In a small bowl, mix together the softened cream cheese, powered sugar and whipped topping with a hand mixer until well blended. 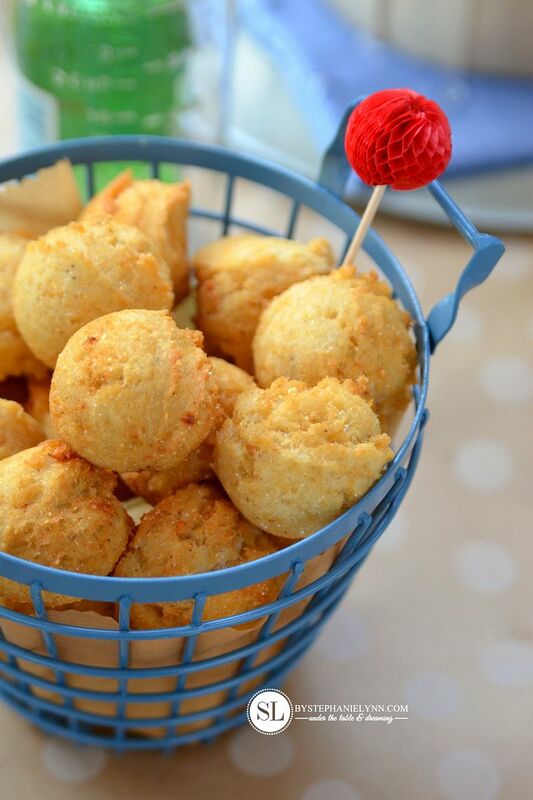 Place the cream cheese mixture into a decorating bag fitted with a large round tip. 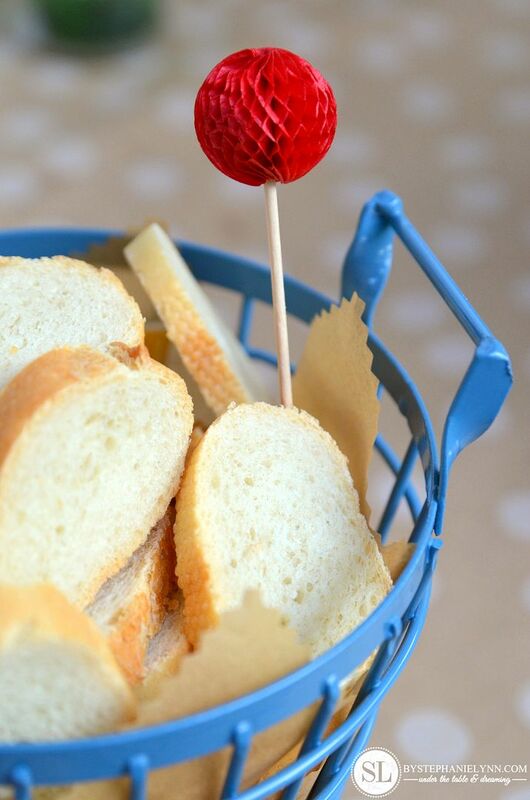 Assemble the treat pops by placing a layer of sliced strawberries into the bottom of the pop container then pipe a layer of the cream cheese mixture, followed by a pound cake round. Repeat the layering process until the container is full. 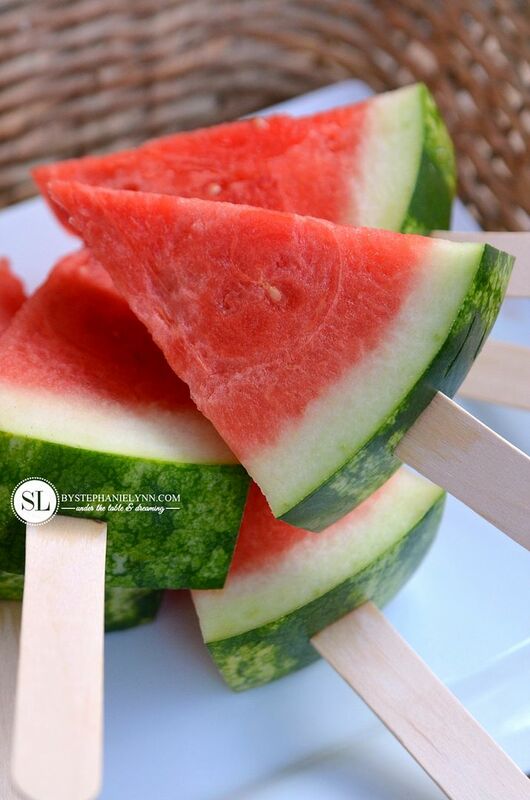 And a summer soiree would not be complete without a refreshing slice of watermelon. For grab and go convenience, we popped a few Sticks in the rinds! 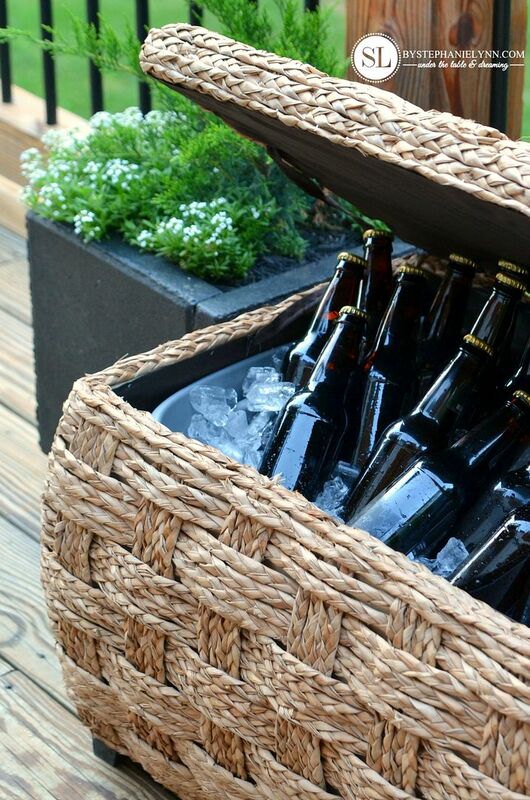 We can never seem to have enough coolers on the deck when we entertain during the summer. I have walked by this huge storage ottoman at my local Michaels many times and was finally inspired to purchase it in preparation for the Crab Feast Party. I thought it would create a unique and stylish vessel to keep the beverages cold and close to the table for the evening. packed it with ice and nestled in the drinks. The table decor was kept simple and sweet – fresh flowers and a little candle light – the bare necessities. 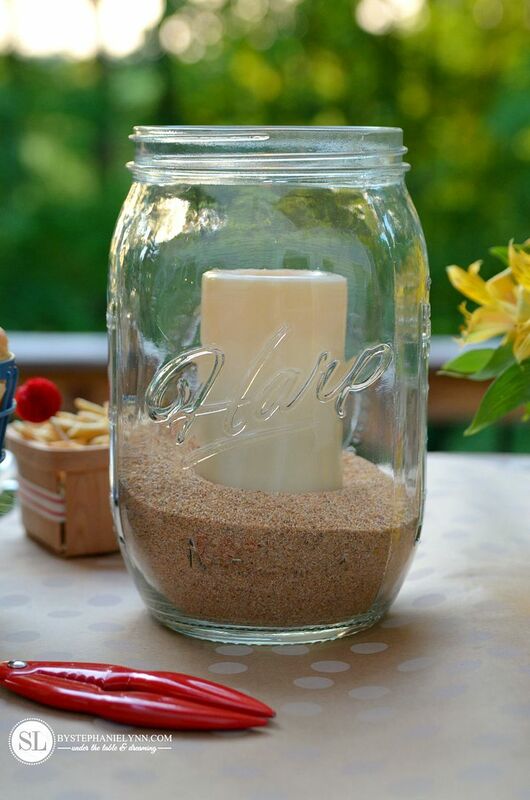 These oversized Mason Jar Candle Lanterns provided just the right ambiance for the evening. I simply filled each one with some Decorative Sand fit for the occasion. 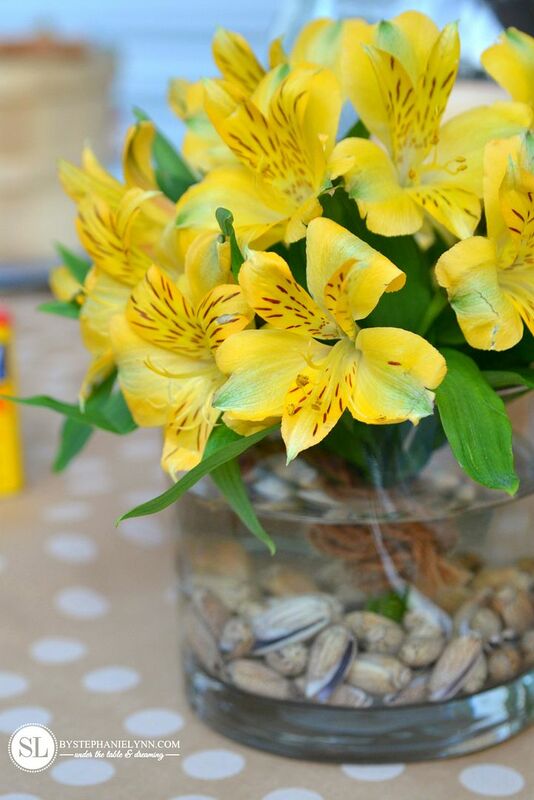 The cheerful Alstroemeria was picked up right at our local market – cut down, tied with some jute and tucked into two Glass Cylinder Vases, lined with seashells. 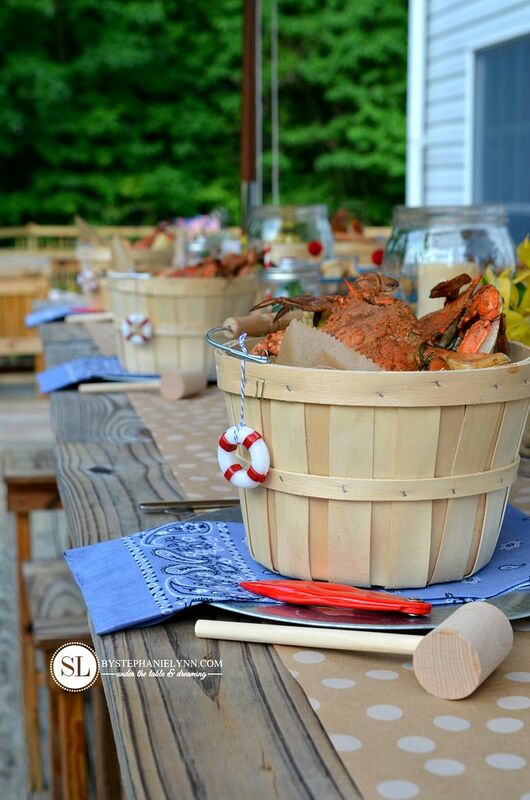 Finally, if you have ever been to a Crab Feast Party you know picking crabs can be a somewhat messy affair. We like to treat our guests to a warm hand towel, prior to moving onto the next important course – dessert. I purchased a bundle of inexpensive washcloths specifically for this purpose. Prior to the party – roll the washcloths and arrange them on a microwavable platter. As the dinner is winding down, wet the towels, douse them with a freshly squeezed lemon and place them in the microwave for 30 to 60 seconds. 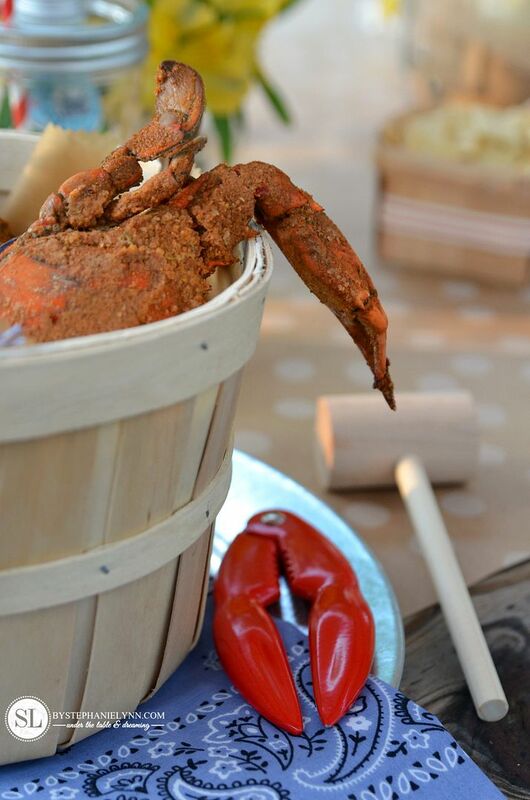 The addition of fresh lemon acts as a natural cleanser and will help remove any crab smells left behind. 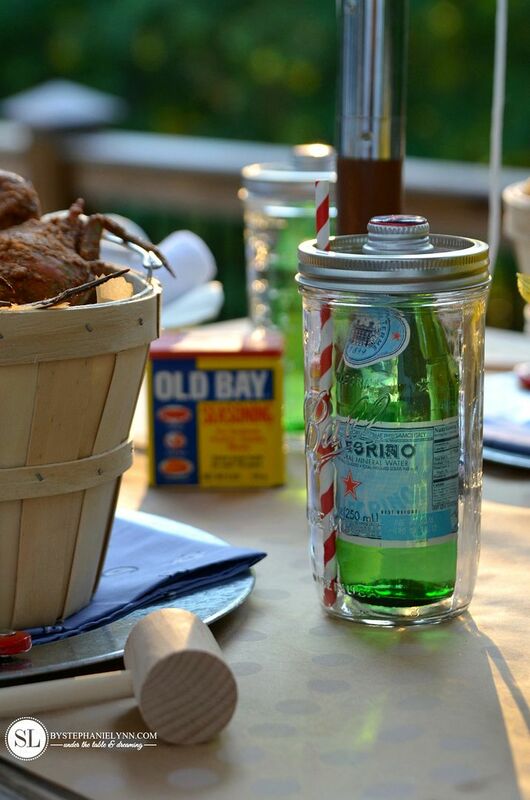 What is on the menu for your favorite go-to summer soiree? 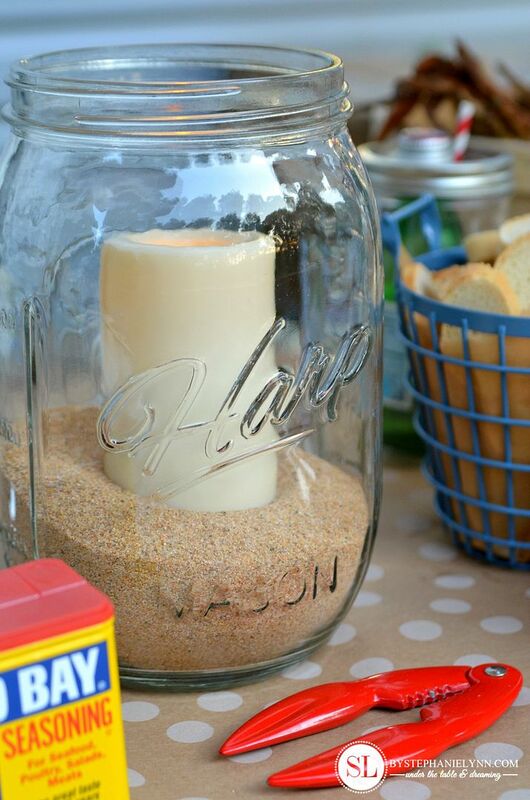 For more Summer Party Inspiration be sure to check out all of the other Michaels Makers DIY ideas on the Michaels blog. This post is brought to you by Michaels . The opinions read here are entirely my own. From paper crafts, party goods and baking supplies to new outdoor lighting, glass and floral, Michaels is your DIY destination for all of your summer celebrations. Cheers to Summer!